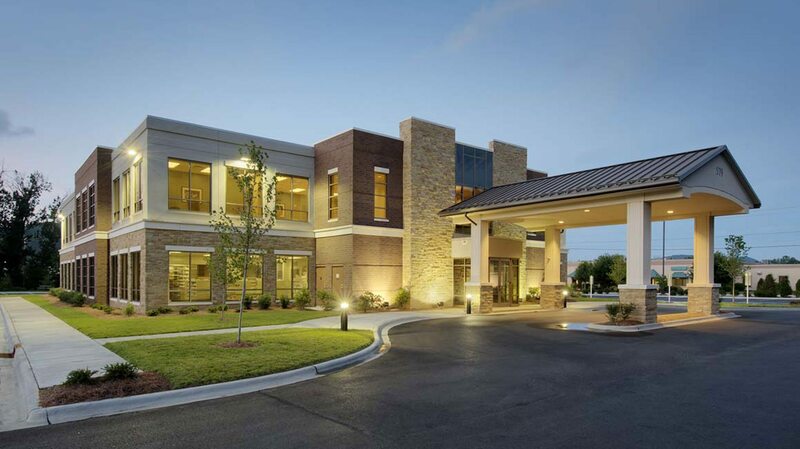 Greenway Commons Medical Plaza is a two-story, multi-tenant Class A medical office building of approximately 26,000 square feet serving the community of Boone, North Carolina. The exterior of the building is a mixture of masonry and stonework in an effort to blend with the surrounding area in this Appalachian Mountain community. Project is located near the campus of Appalachian State University. Local pharmacy Boone Drug occupies 2,300 square feet of the first floor in a tenant build-out designed by TMP. Blue Ridge Pediatric & Adolescent Medicine occupies the entire second floor in a tenant build-out also designed by TMP.